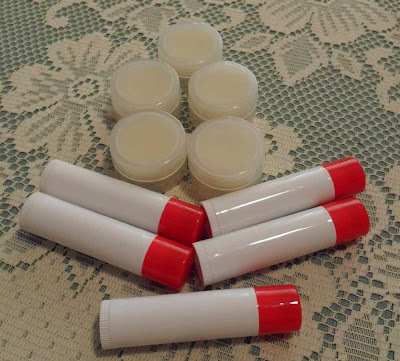 I use a lot of lip balm...and from time to time I've toyed with the idea of making my own, but then dismissed the idea and bought another tube. However, lately I've found it difficult to find one that is not only moisturising, but also without added sunscreen, as I find those with sunscreen irritate my lips. Last Saturday, while tootling about the web, I came across this great site and ordered one of the lip balm kits. 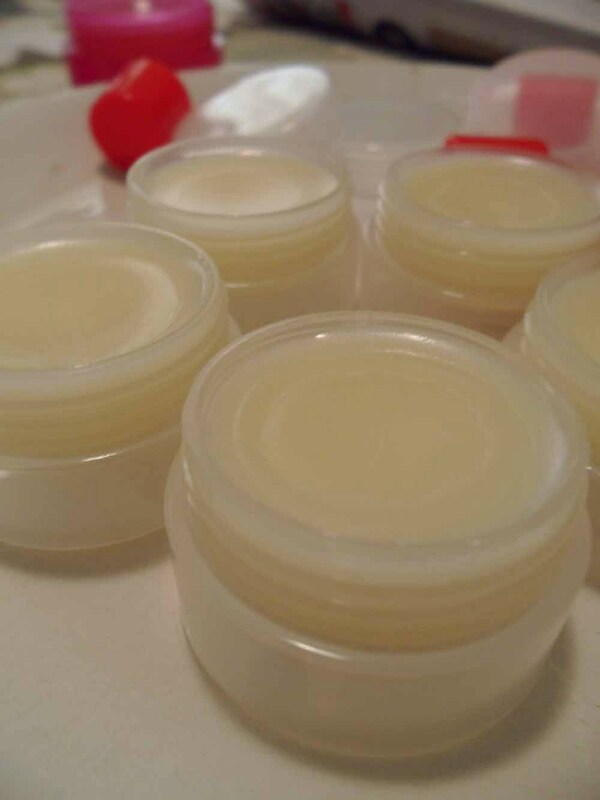 It arrived today, and while dinner was cooking, I whipped up my very own lip balm! 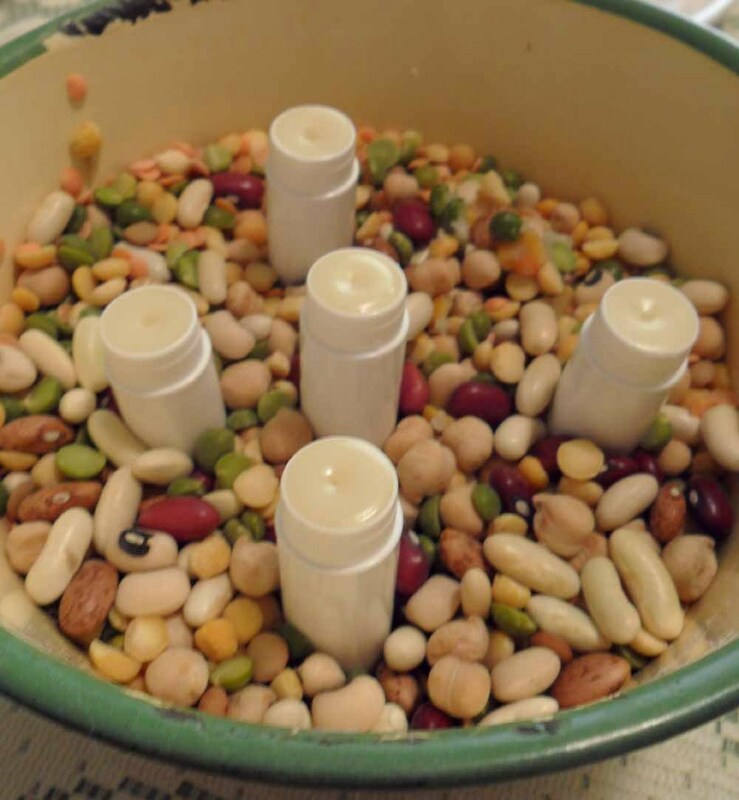 The kit came with five tubes and five little pots, a tub of base mix and strawberry flavour (which I didn't add today, though will try it next time). I bought a medicine syringe to transfer the hot wax/oil from the double saucepan to the tubes/pots, and it worked a treat. I still have enough of the base left for a few more tubes. Tubes in a bean mix before filling...no chance of them falling over. I now have ten beautifully smooth, moisturising lip balms. Once poured, they set in next to no time. I hope it's agreeable with you and does the job well.